Free delivery on all our products Across Northern Ireland Only! 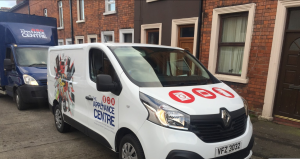 The Appliance Centre NI LTD offer free local delivery on all major purchases throughout Northern Ireland We will unpack your products for you to inspect if required and we’ll even take the packaging away too. Delivery is normally available within 1-3 days providing the items are in stock. 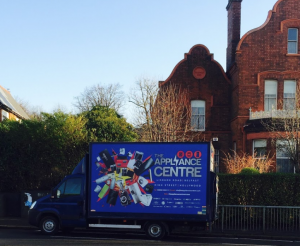 Please contact your local store for further details on our comprehensive delivery service. We deliver 6 days a week, so if we have the item in stock you can have your order delivered the very next day, however this is dependent on postcode since we are not able to deliver to certain areas every day. These days are listed in the checkout page. Simply order before 7pm the night before. If you’re in a hurry, order before 12 noon and we will deliver to you the very same evening, free of charge, providing the items are in stock.Available in most Belfast postcodes. Not free during the week? Unlike most of other retailers, we offer our weekend delivery free of charge for maximum convenience. To place an order you can call one of our retail outlets or simply place your order online. We love our customers to call and arrange it over the phone when possible, this helps us make sure we answer all your questions and your needs get the proper care and attention, but we know that’s not for all, so we offer the online ordering system too! When we say washing machine is in stock and ready for immediate FREE DELIVERY! When we say FREE DELIVERY, we really mean it, No Gimmics or Non Sense. It’s simple, order by our cut off time for next day delivery. This Delivery Service is ONLY for goods in Northern Ireland. Check out our delivery FAQ’s page for special deliveries and access restrictions.